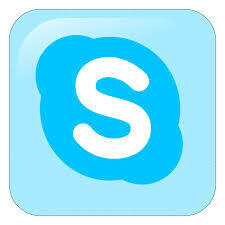 Skype is one of the the most popular video chat and voice calling clients amongst users all over the world. It offers free calls to other Skype users over the Internet as well as very affordable rates for calling landlines and phones. I have been using it for years now and have been quite satisfied. I have Skype installed on my iPhone, Surface RT, Nook HD and on my Xbox 360 which brings the biggest reason that I use it. Versatility across tons of platforms. Version 6 brings a much simpler registration process, particularly with more integration with Facebook and Microsoft accounts. Now you can sign in with either Facebook or Hotmail and automatically use that as a Skype log-in. The previous version briefly incorporated Facebook features; its synchronization is much more apparent in the latest release. User contacts seemed to sync with profile pictures from more sources and the overall interface also looked cleaner. It wasn’t a drastic overhaul, but subtle things like removing mini-banner ads from the bottom of the contact list and thin outlines over the tabs did contribute to a more modern look. Call quality is still variable, depending on your connection and setup, but my experiences have been very positive I am running Fios at home). This version seemed more focused on casting a wider net and reducing the barrier to entry to an already excellent service and easing registration woes as new platforms emerge. If you’ve yet to try out Skype and you’re looking for a worthy VoIP client, look no further. Next Post Outdoor Holiday Decorating, How Far Will You Go?